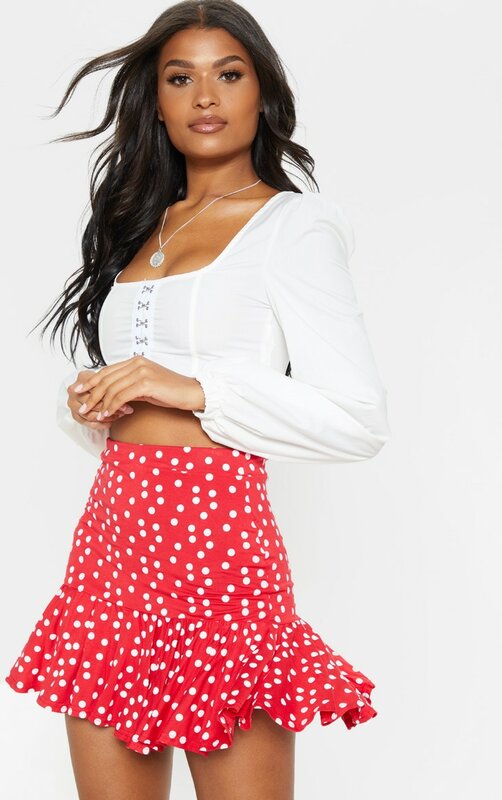 Refresh your wardrobe for the new season with this skirt. 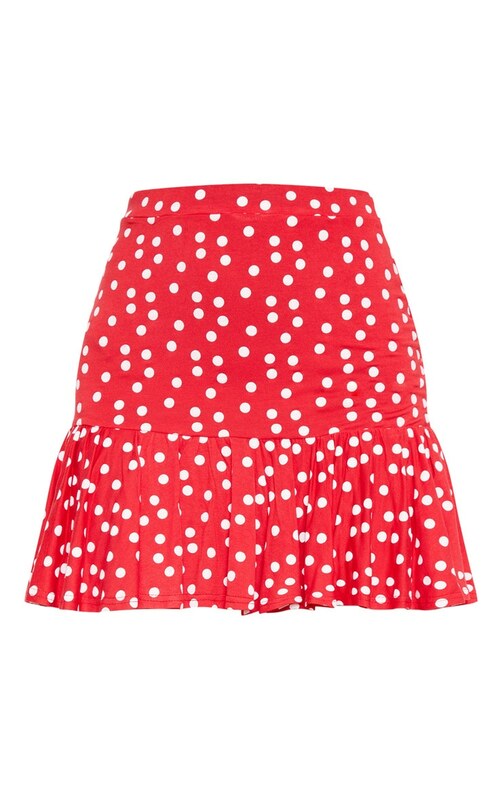 Featuring a red material with a contrasting polka dot design and a frill hem. 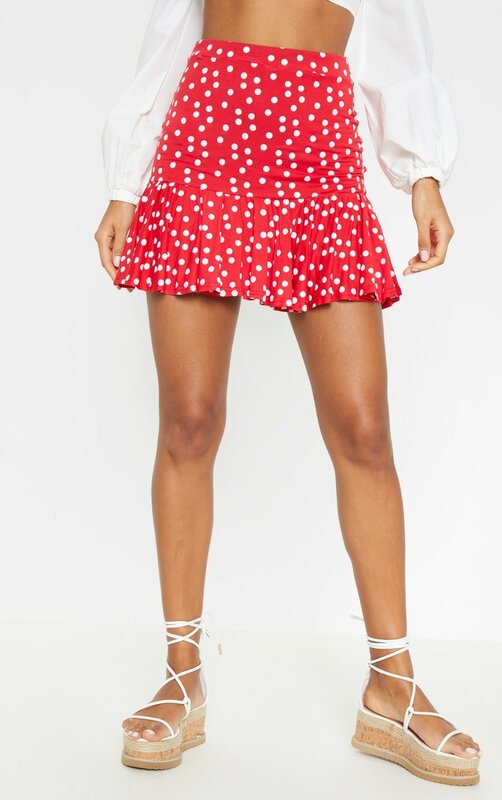 Style this with a cute crop top and tie-up flatform sandals for a look we are loving.